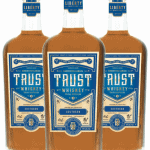 TRUST Canadian Rye begins with 100% organic rye grown in Armstrong, British Columbia. It is triple-distilled in our hand-made CARL single copper pot still. For (3) years, it has rested in mature 220-litre red Burgundy barrels to gain character, complexity and colour. It is then transferred to finish in new American Oak barrels. 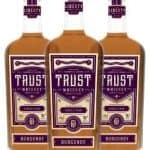 On the nose, TRUST Canadian Rye offers textbook spice that defines ‘Classic Rye’. Notes of cinnamon, Mandarin orange peel, baked apple and vanilla all combine to provide the palette with a profound depth of complexity and body. Rich warm tones of honey, allspice, nutmeg and toffee envelop the mouth, with a finish that just lingers on and on. 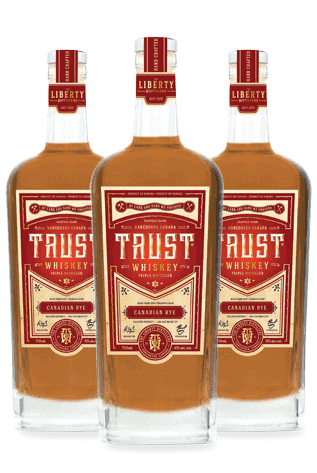 TRUST Canadian Rye is an unparalleled statement of a 100% True Craft Canadian Rye; reflecting the artisanship between a Master Distiller and local, organic British Columbian grain.